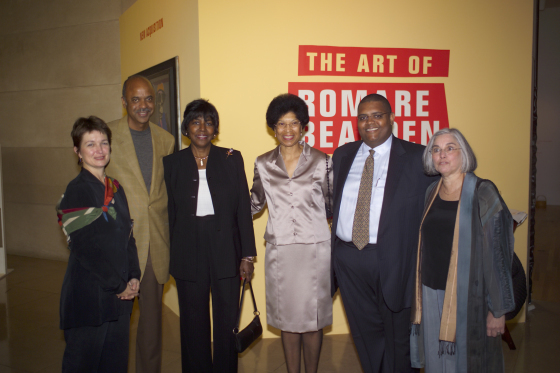 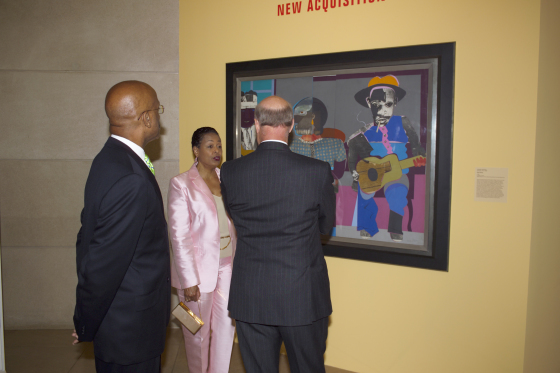 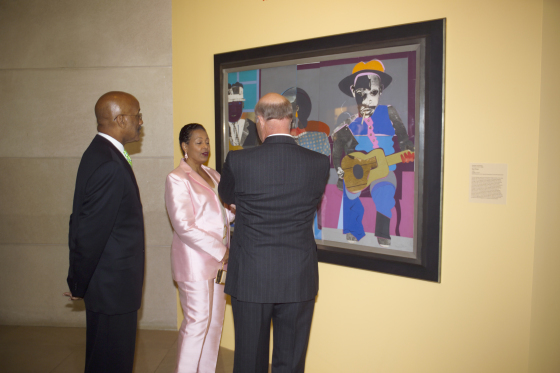 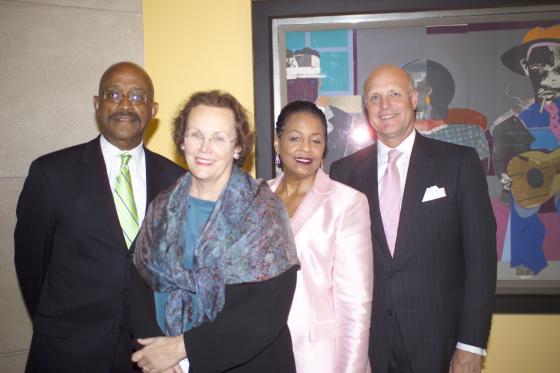 Credit Line The Art of Romare Bearden' is organized by the National Gallery of Art, Washington. 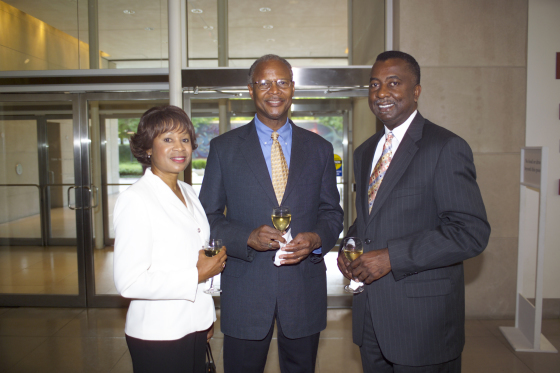 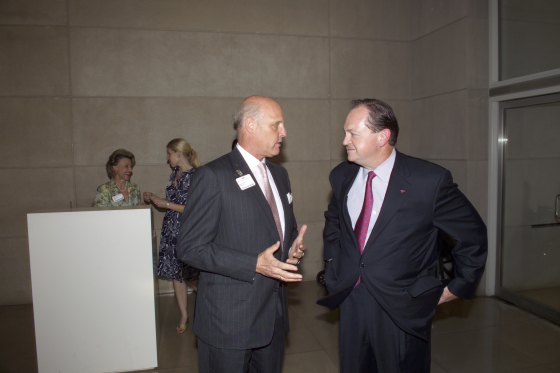 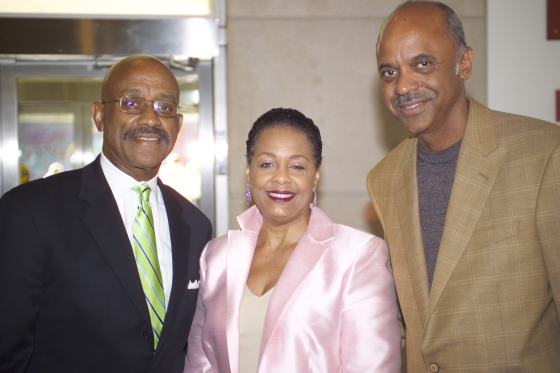 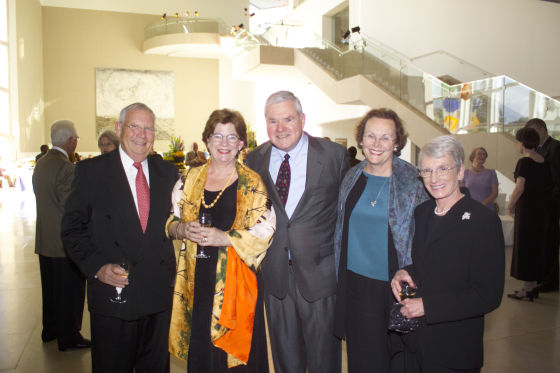 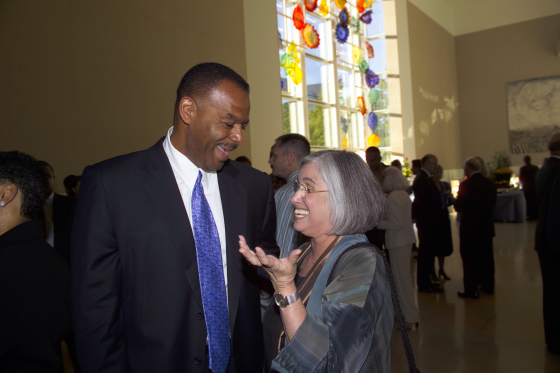 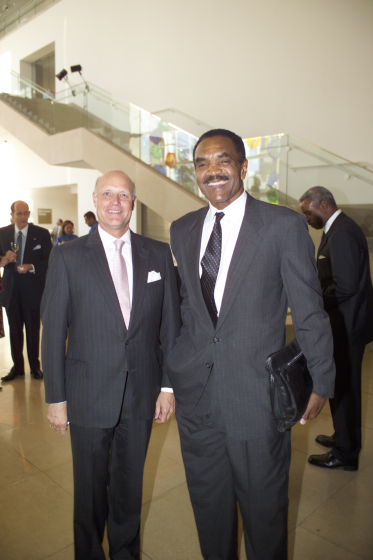 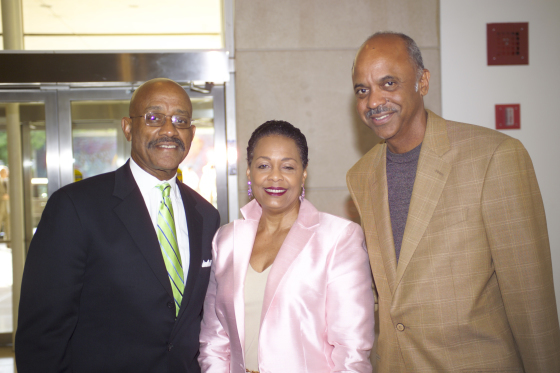 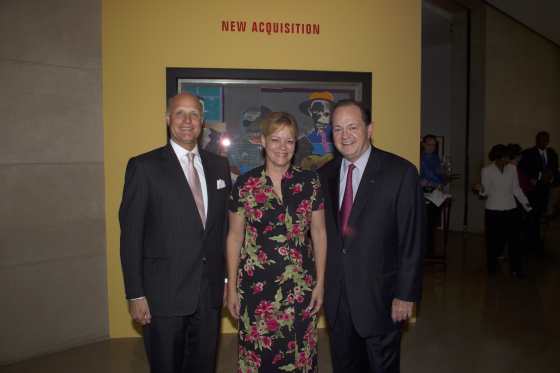 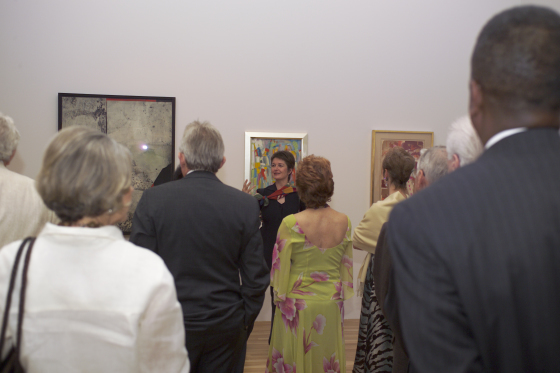 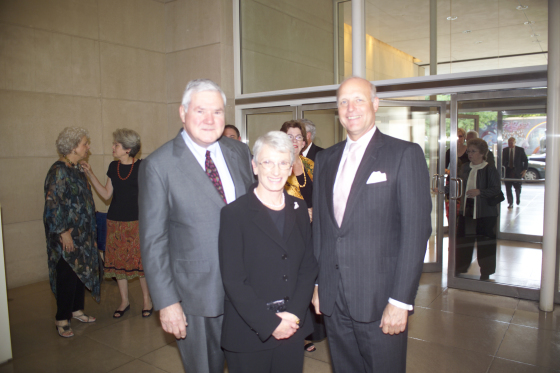 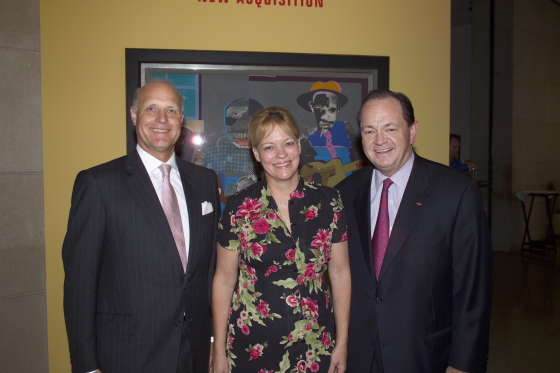 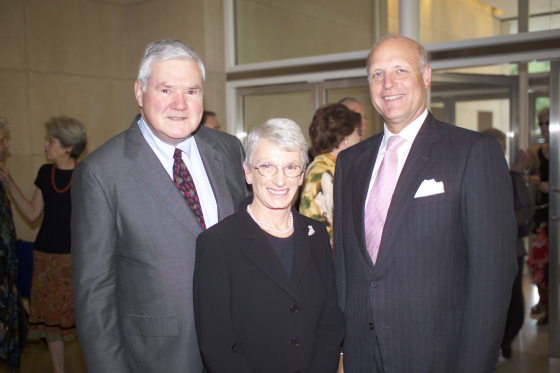 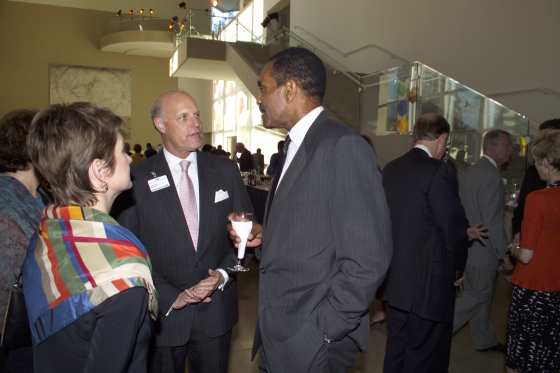 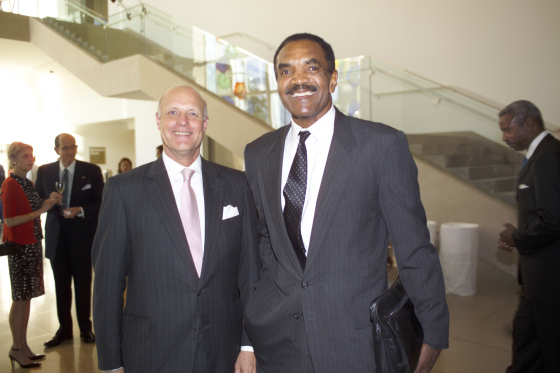 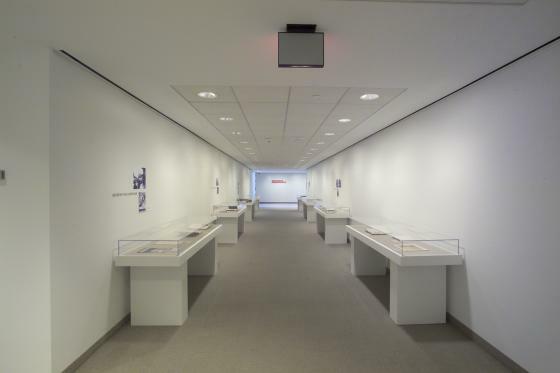 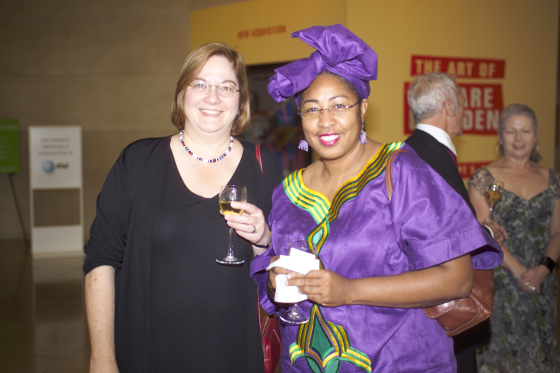 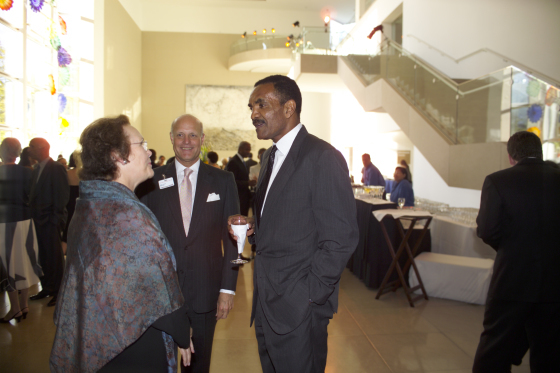 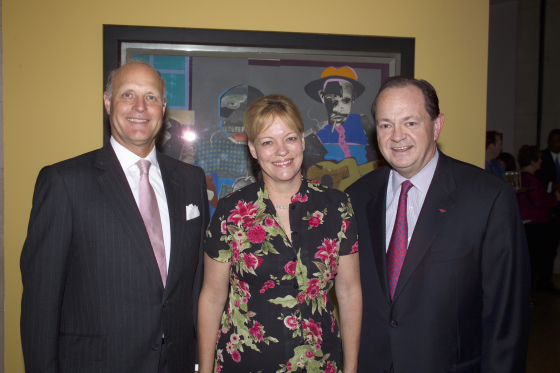 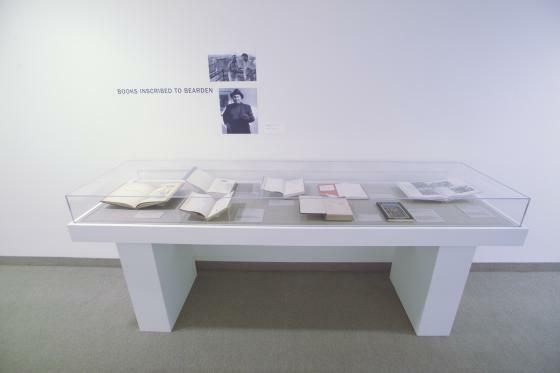 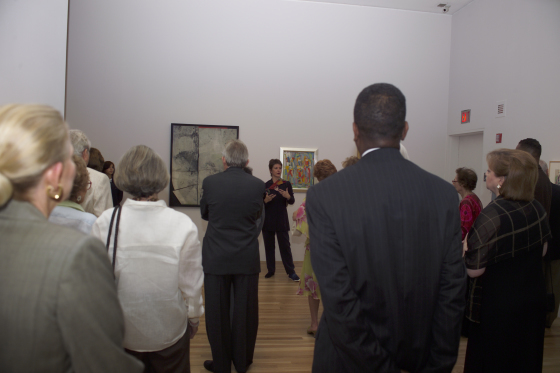 The exhibition was made possible with generous support from AT&T. 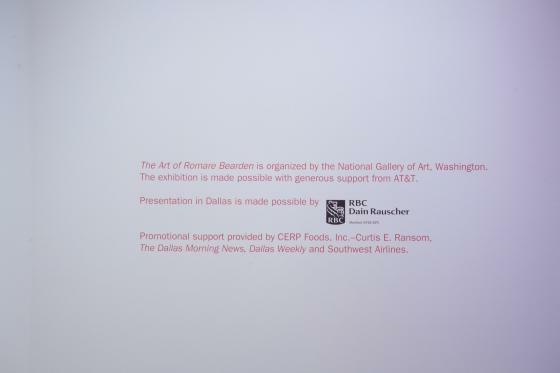 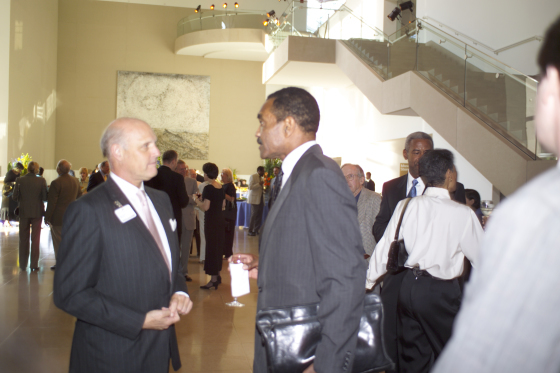 Presentation in Dallas was made possible by RBC Dain Rauscher. 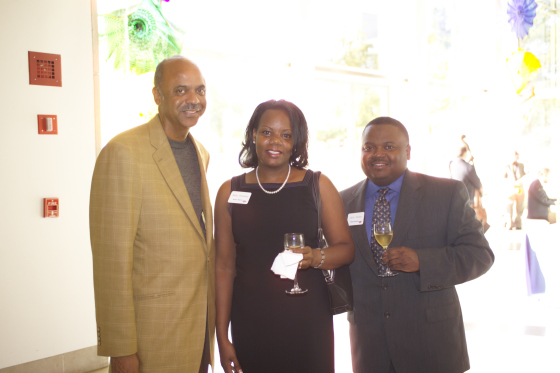 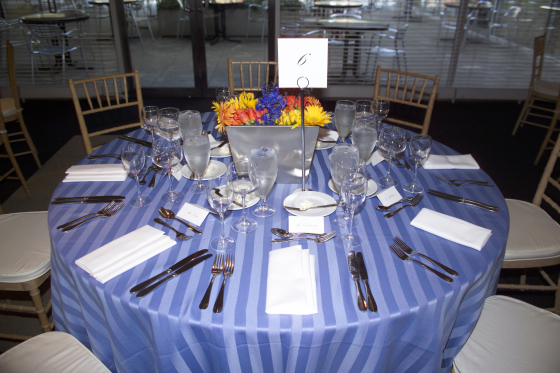 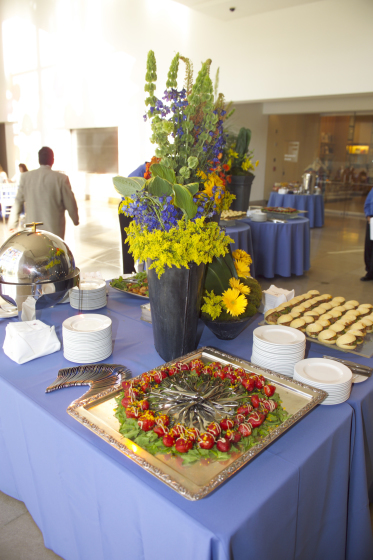 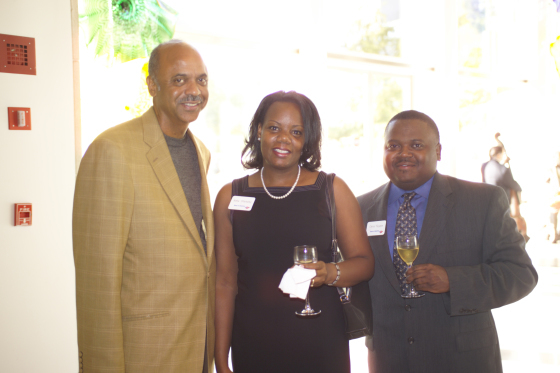 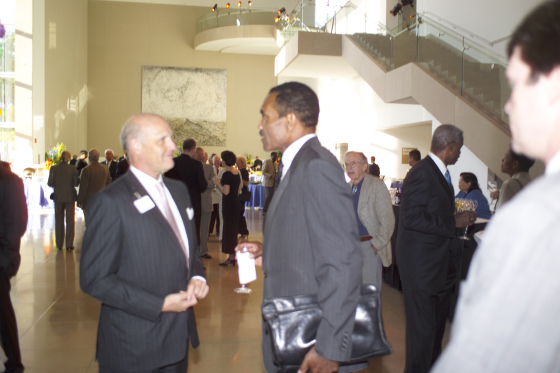 Promotional support provided by CERP Foods, Inc., The Dallas Morning News, Dallas Weekly and Southwest Airlines. 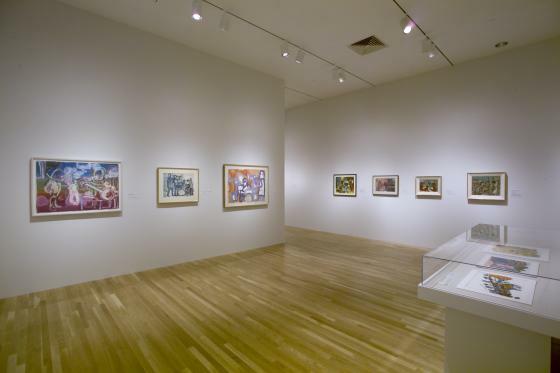 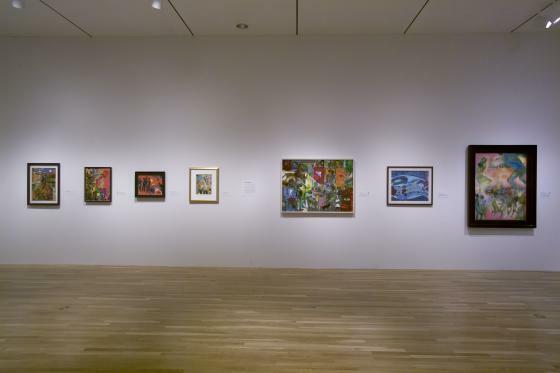 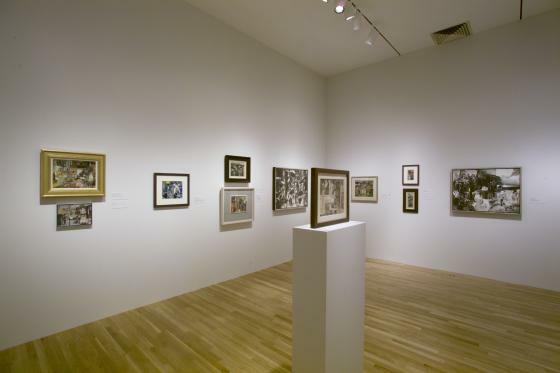 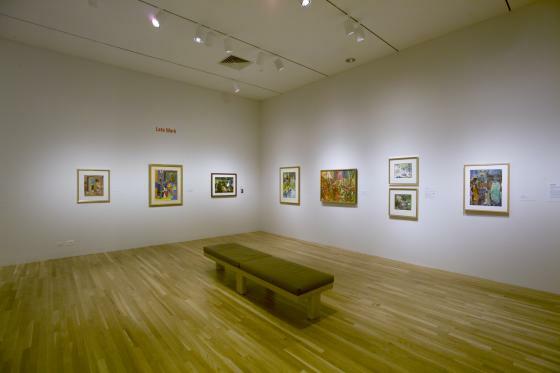 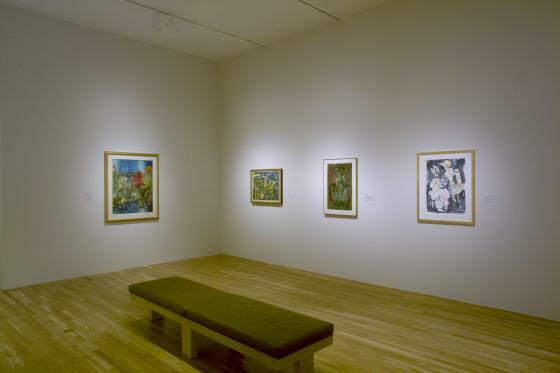 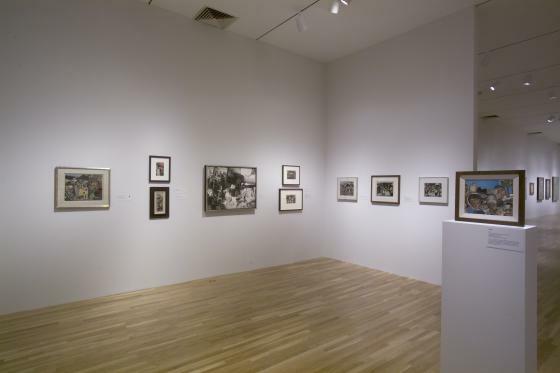 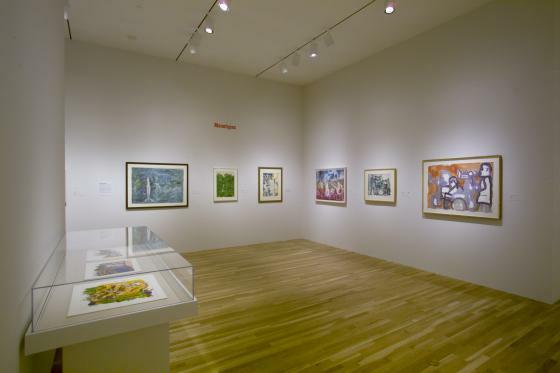 Description Approximately 125 paintings, collages, and works on paper by Romare Bearden, one of the premier American artists of the 20th century, are on view in 'The Art of Romare Bearden.' 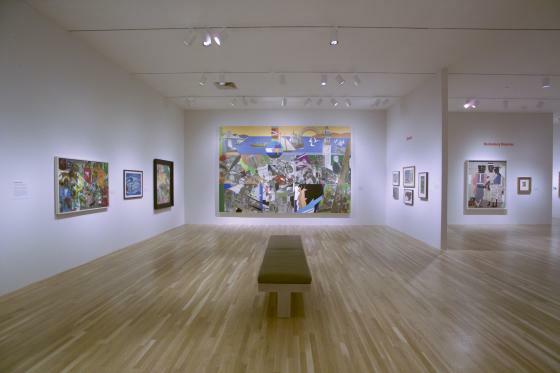 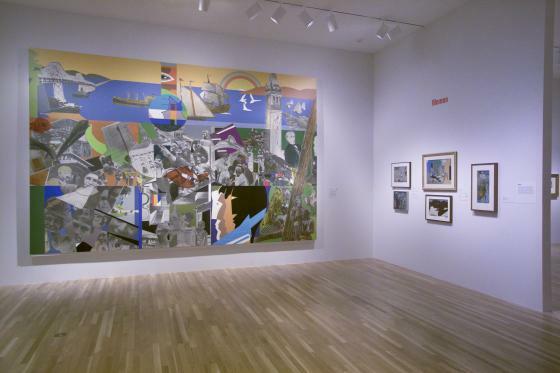 The exhibition, organized by the National Gallery of Art in Washington, D.C., is the largest retrospective of Bearden's work ever assembled. 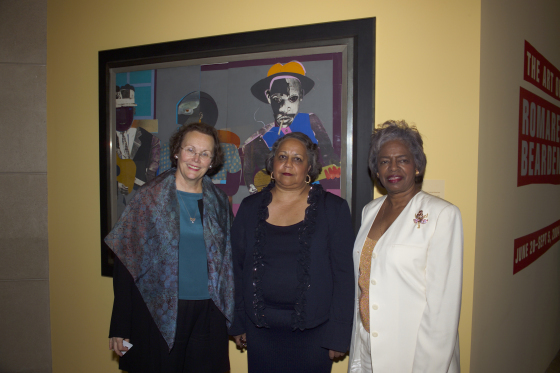 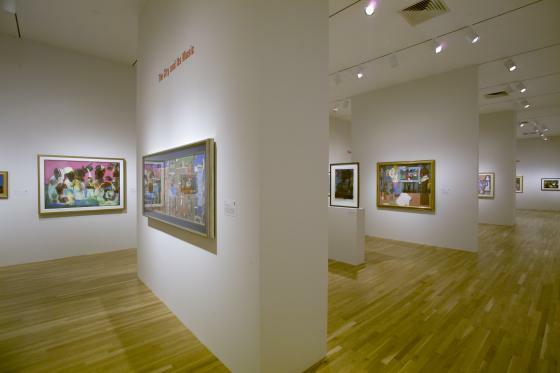 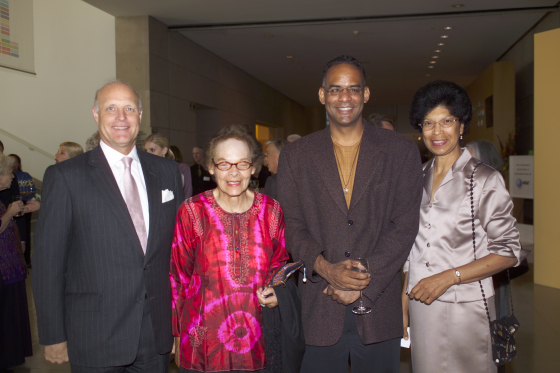 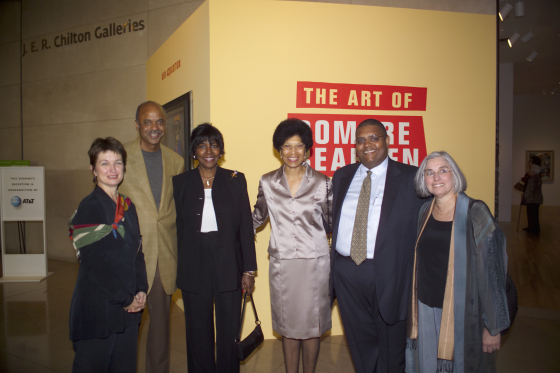 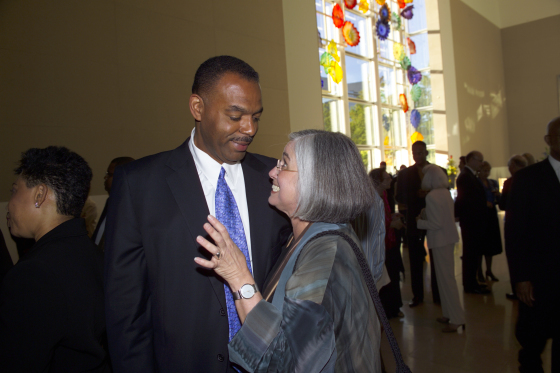 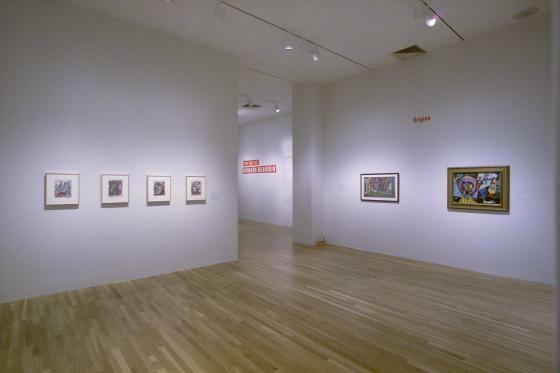 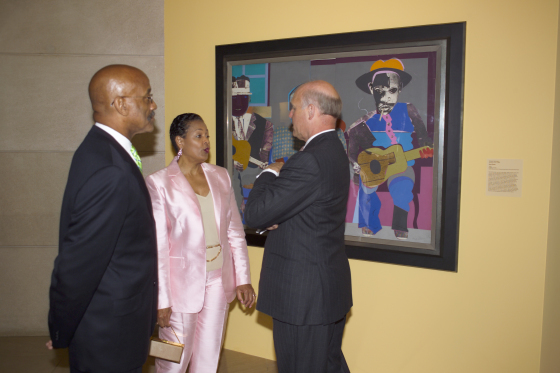 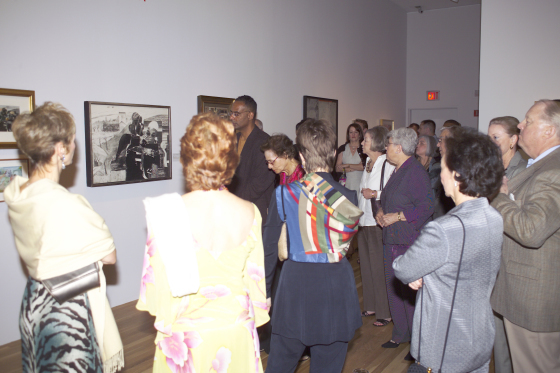 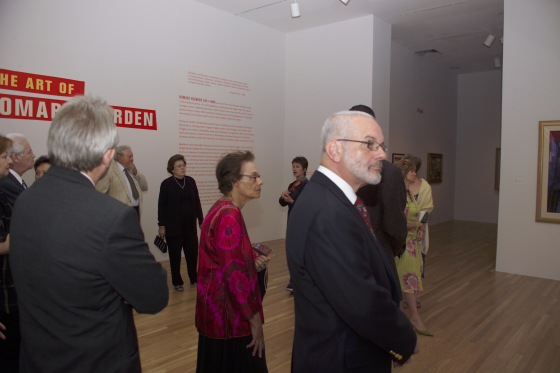 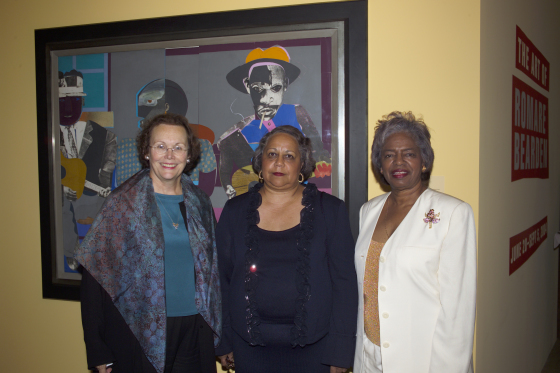 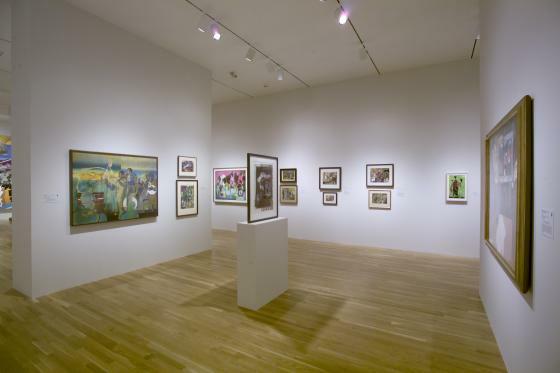 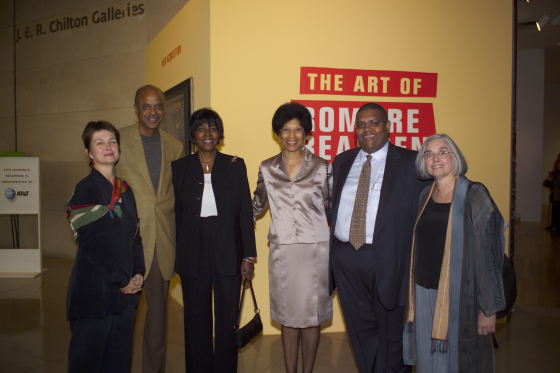 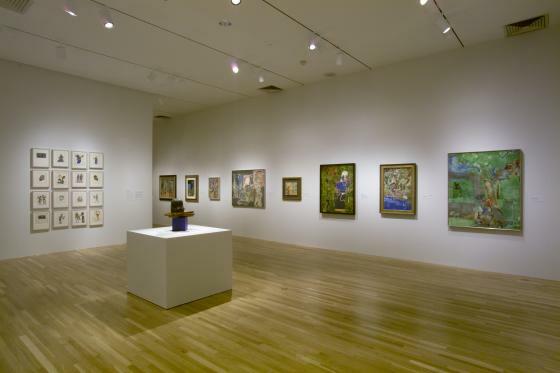 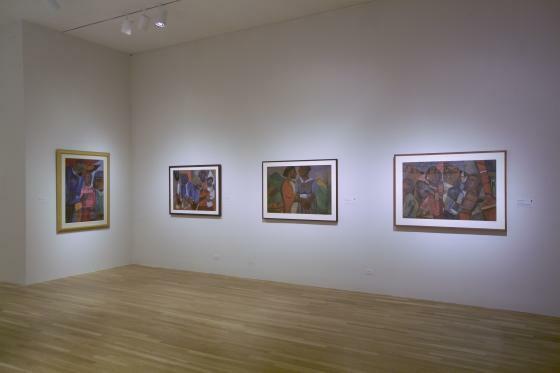 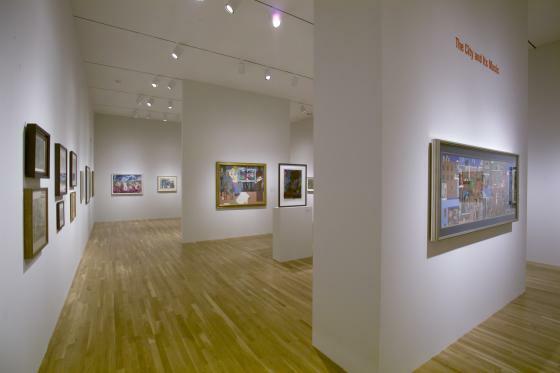 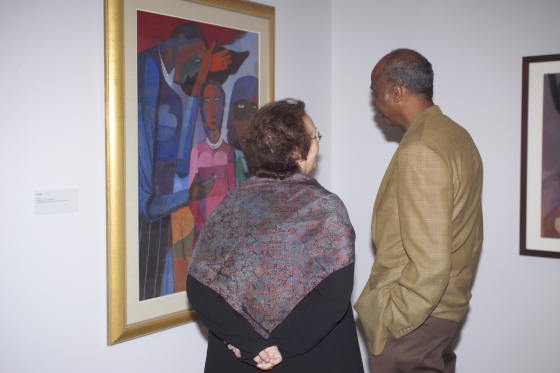 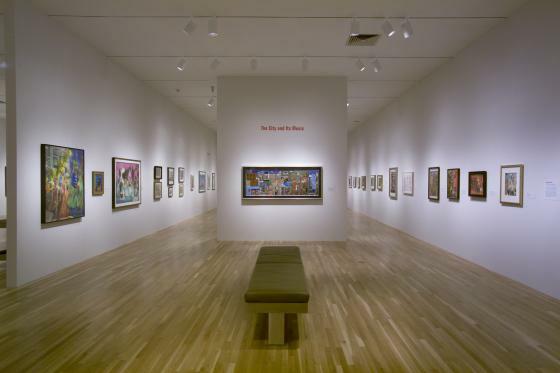 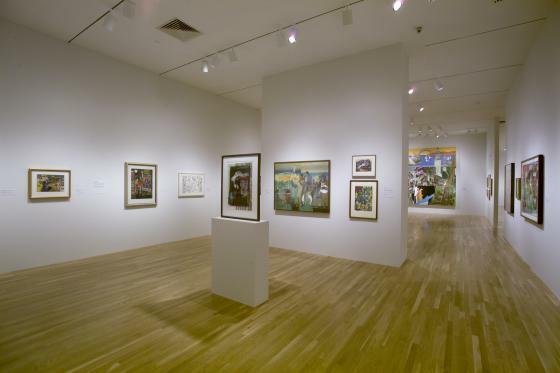 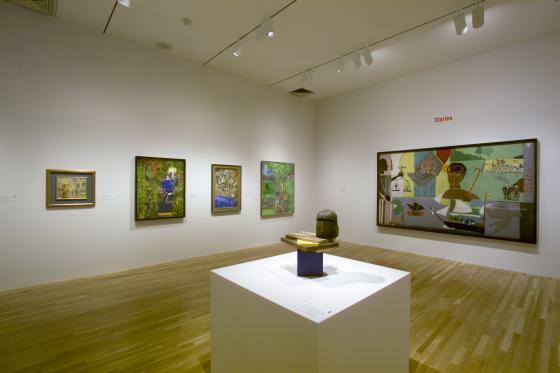 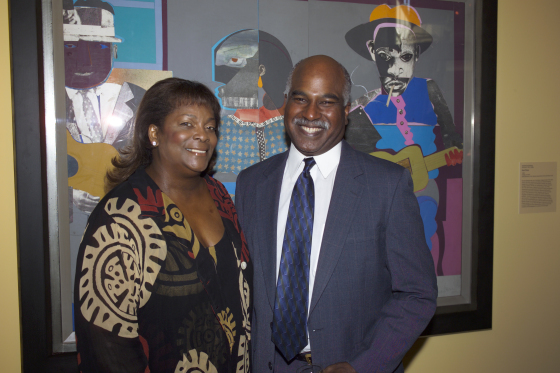 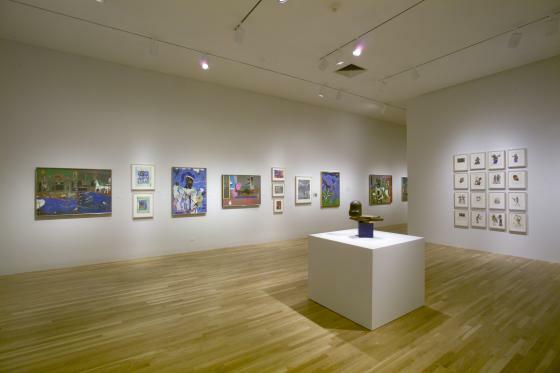 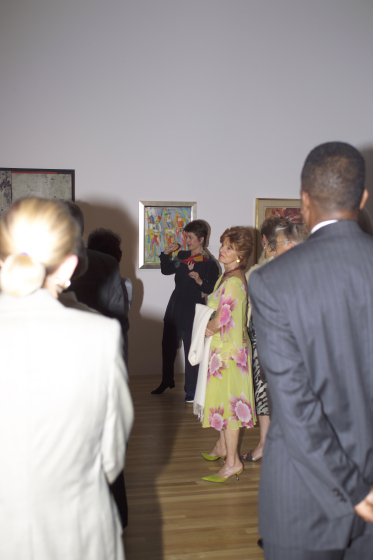 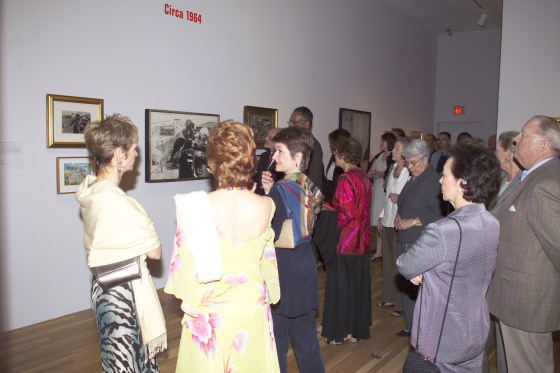 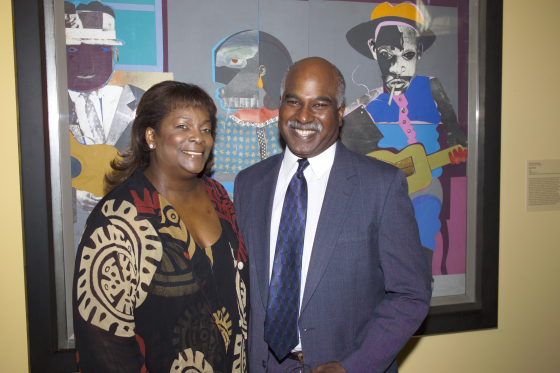 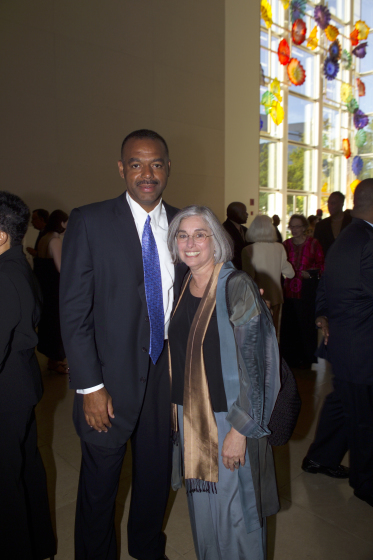 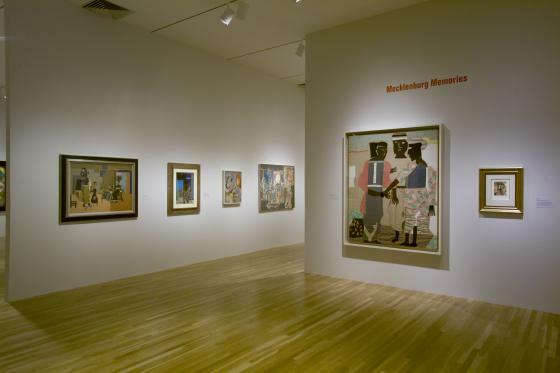 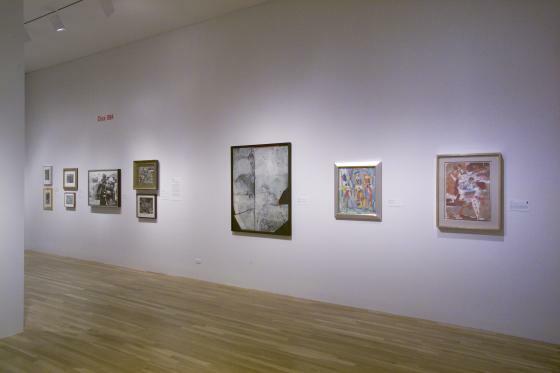 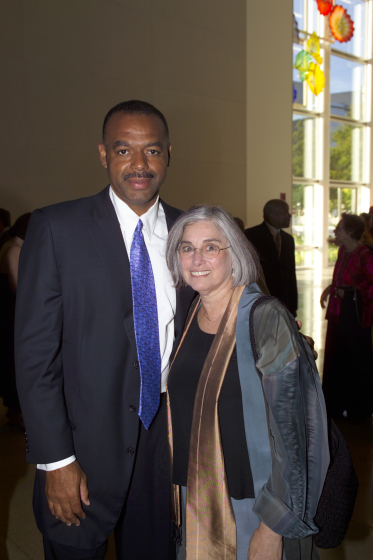 'Geographic inspiration for Bearden's art ranges from his birth place in Mecklenberg County, North Carolina, to New York's Harlem, to the Caribbean island of St. Maarten, where he and his wife owned a home from the early 1970s,' said Dr. Dorothy Kosinski, Senior Curator of Painting and Sculpture and curator of the exhibition at the DMA. 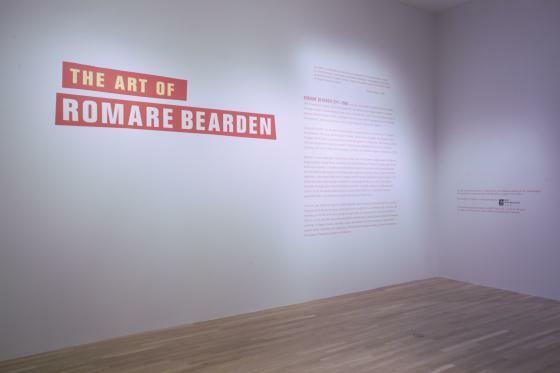 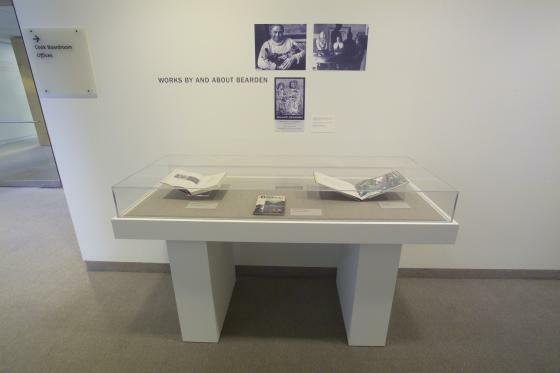 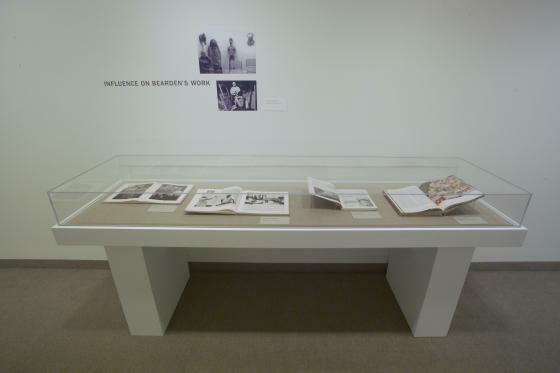 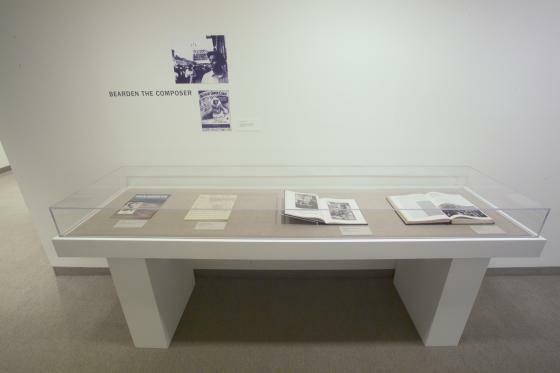 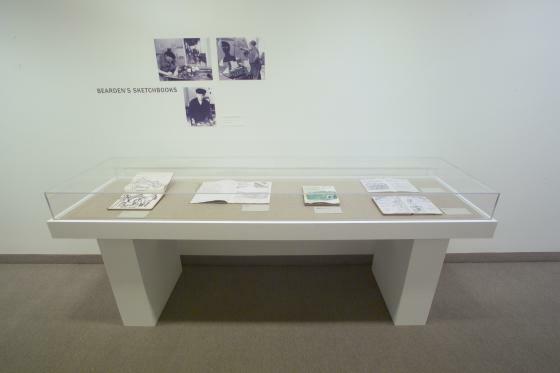 'The child of a middle-class family, Bearden grew up in Harlem in the social and cultural exuberance of the Harlem Renaissance. 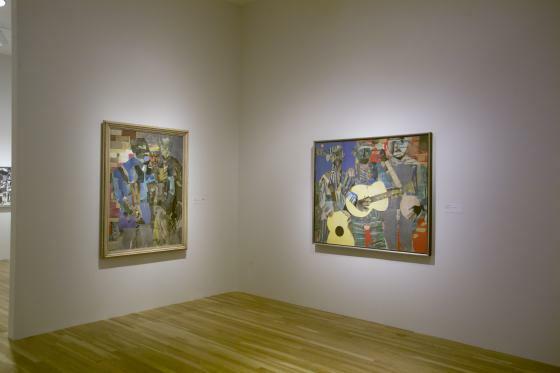 Frequent visits from family friends such as Duke Ellington and Fats Waller made jazz an early passion for Bearden, and music continued to inform his art throughout his life. 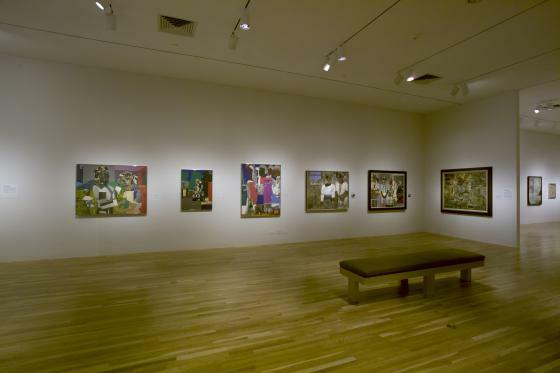 His highly narrative works also show references to the civil rights movement of the 1960s, particularly the inspiration of Martin Luther King, Jr.' This comprehensive exhibition includes many rarely exhibited and/or never before reproduced works from the 1940s and 50s and showcases the colorful and complex collages for which Bearden is best known. An Antenna Audio tour featuring the voices of artists and the music of Branford Marsalis will be available. 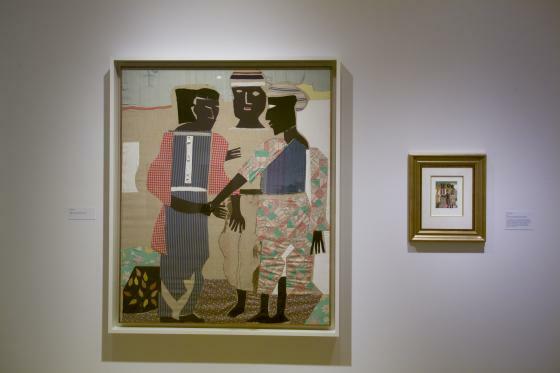 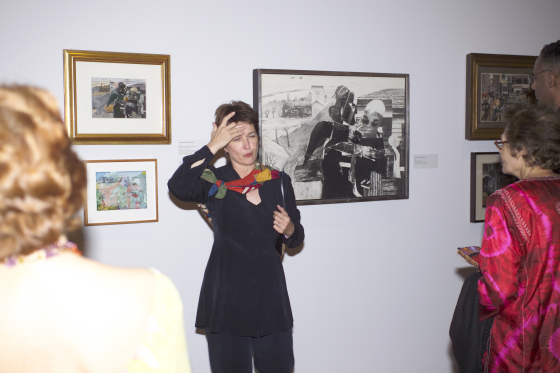 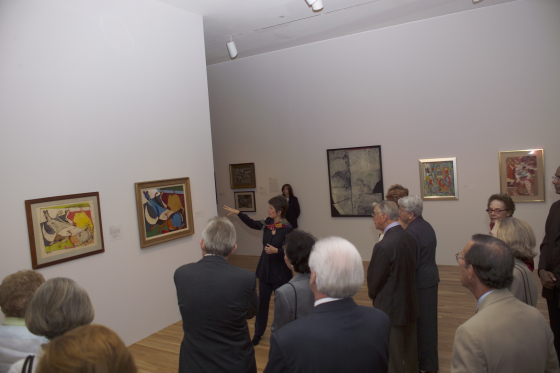 The Art of Romare Bearden Public Programs: Opening Day Exhibition Walk-Through: Sunday, June 20, 3:00 p.m., join Ruth Fine from the National Gallery of Art, curator of The Art of Romare Bearden, on a first-look at the exciting new exhibition; Gallery Talks: Wednesdays, 12:15 - 1:00 p.m.; June 23: 'Romare Bearden and the Literature of the Harlem Renaissance,' Dr. Theresa Towner, Professor of Literature, UTD; July 21: 'The Art of Romare Bearden,' Phillip Collins, Chief Curator, African American Museum; Special Event: Saturday repeat of the Wednesday Gallery Talk, Saturday, July 24, 1:00 p.m.; August 18: 'Bearden's Dialogue with African Art,' Dr. Roslyn A. Walker, DMA curator; Special Event: Saturday repeat of the Wednesday Gallery Talk, Saturday, August 21, 1:00 p.m.; September 1: 'Bearden & the Conjurs: An Exploration of the World of Magic,' Victoria Meek, Manager of South Dallas Cultural Center; August 6: 'Icons of the Collection: Romare Bearden.' 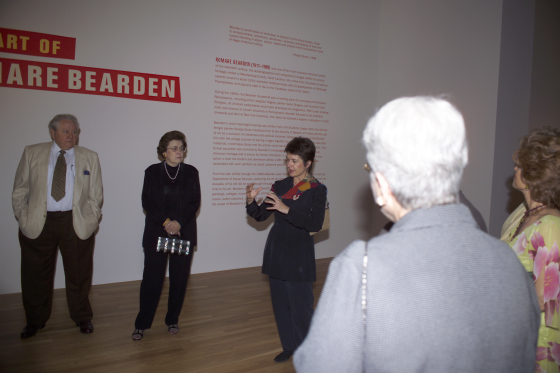 Join us for a special screening and discussion of the documentary Bearden Plays Bearden, narrated by James Earl Jones. 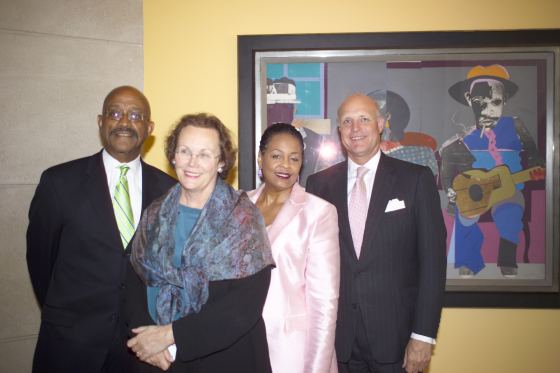 Panel members include Dr. Richard A. 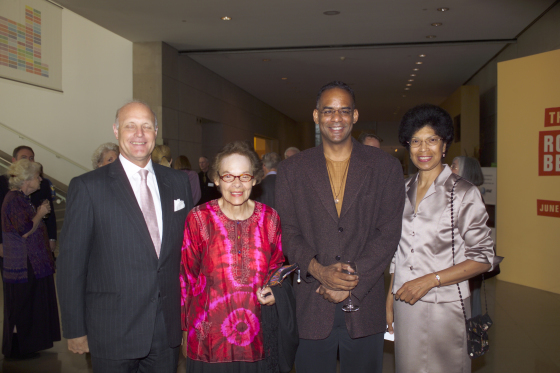 Long, friend of Bearden and scholar, featured in the film; Nelson Breen, director of Bearden Plays Bearden; and other panelists to be announced. Followed by a reception. 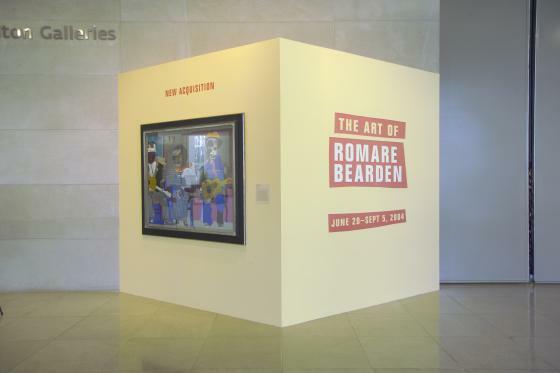 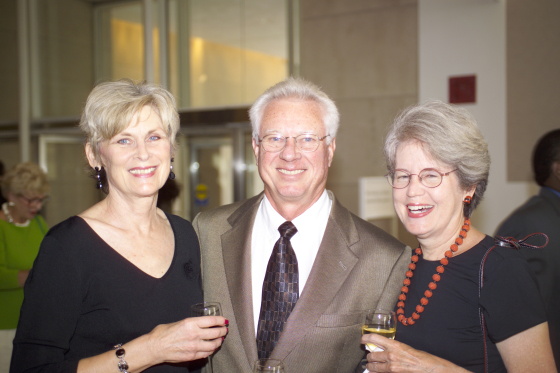 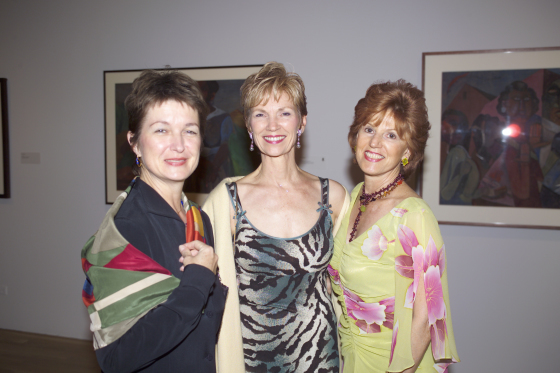 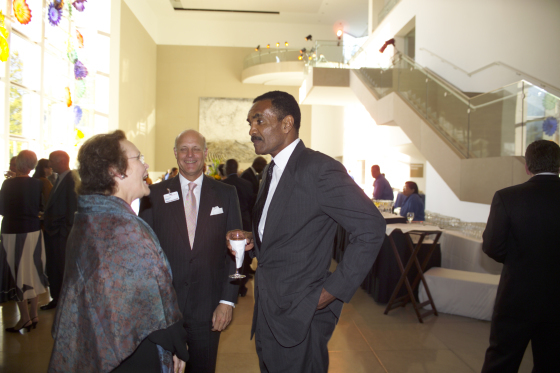 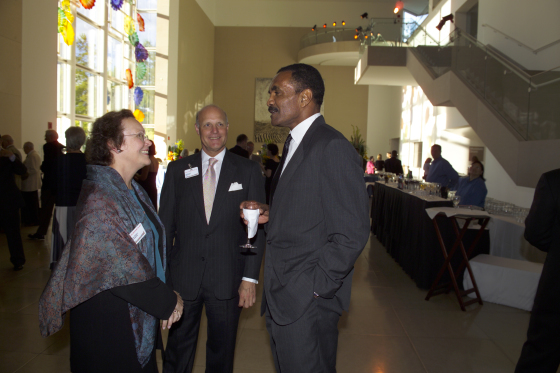 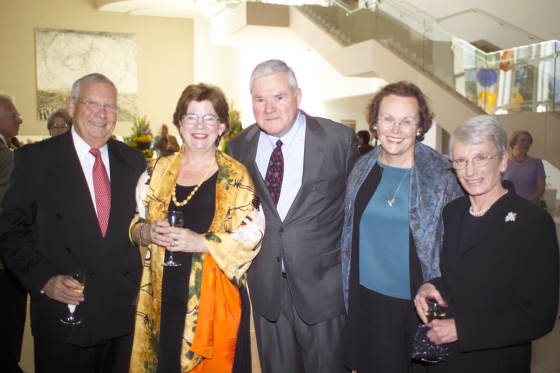 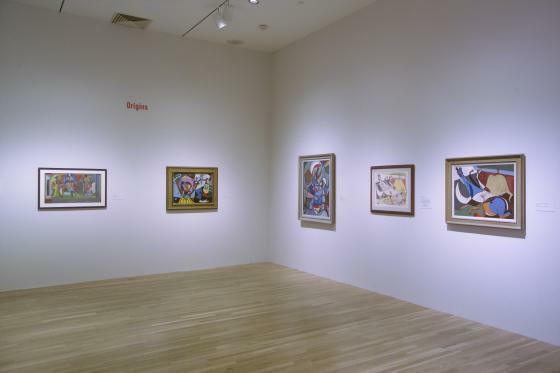 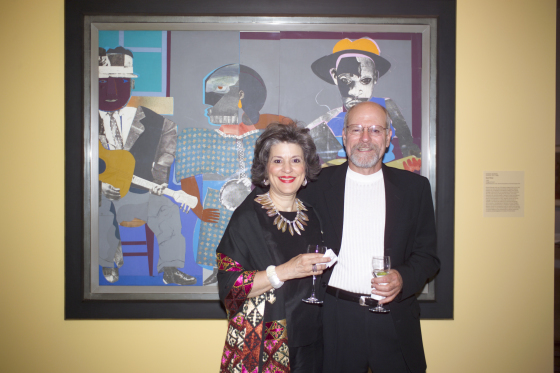 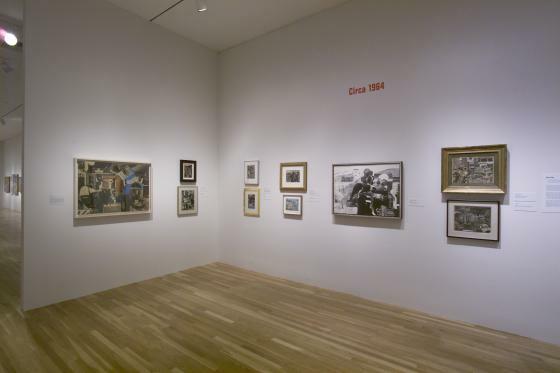 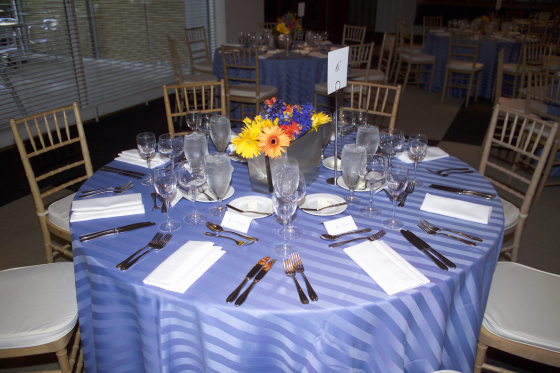 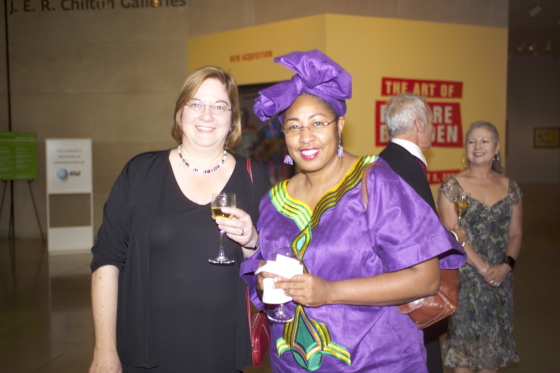 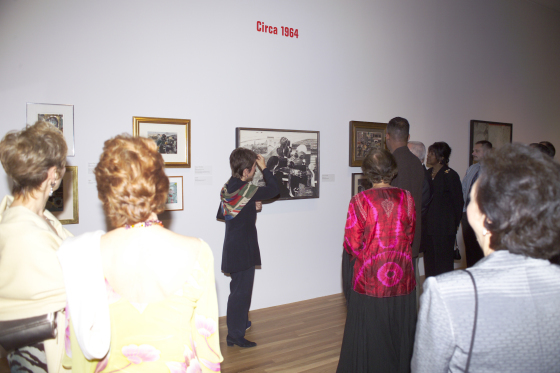 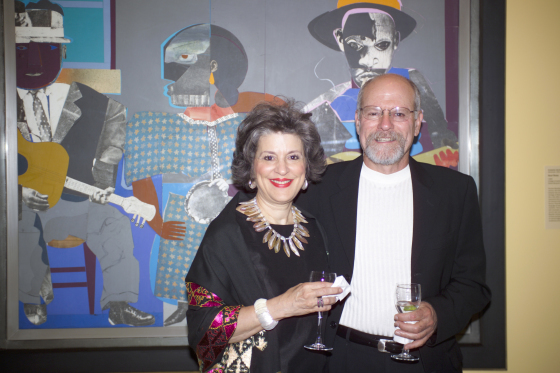 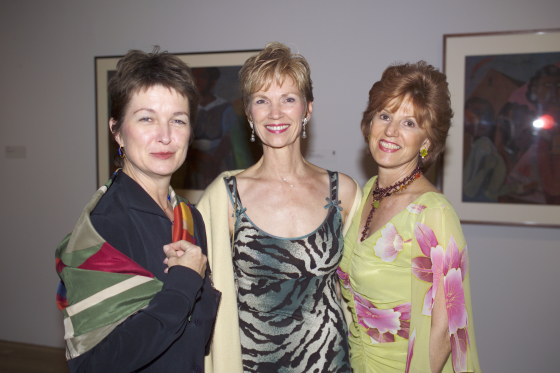 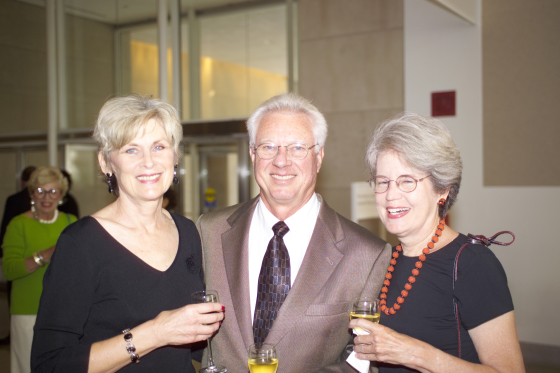 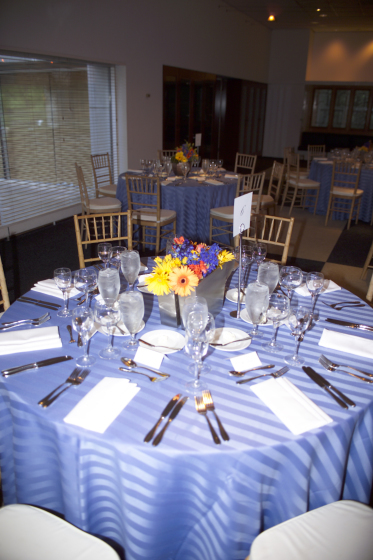 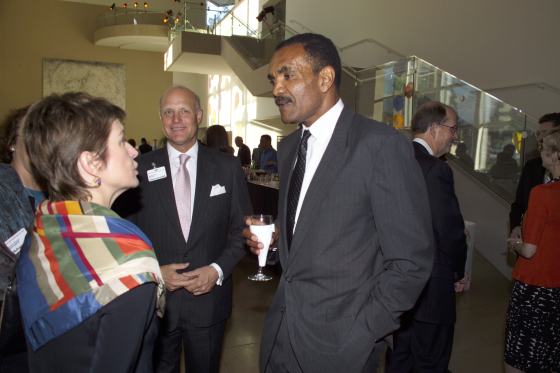 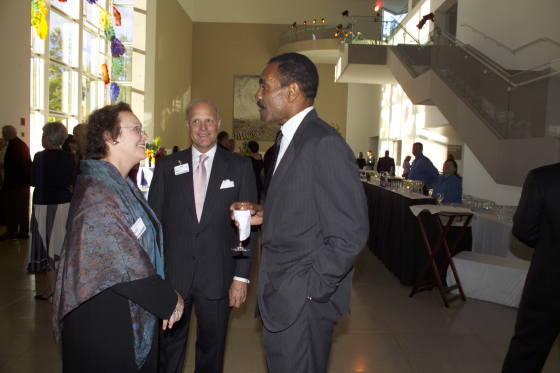 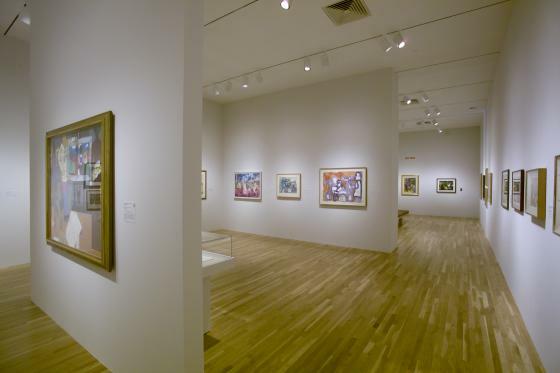 Late Nights at the Dallas Museum of Art, Summer in the City, Fridays, July 30 and August 27, 6:00 p.m. - midnight: Late Nights at the Dallas Museum of Art sizzle this summer as the Museum continues to celebrate the exhibition The Art of Romare Bearden. 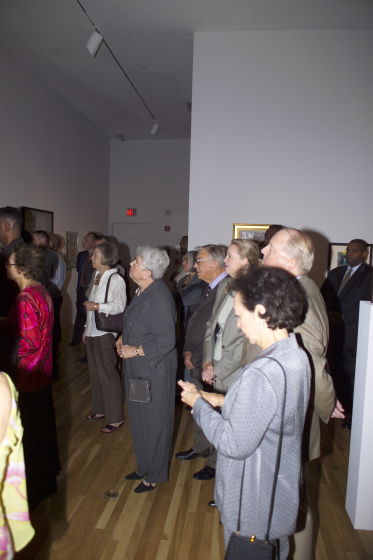 Don't miss a rare performance of Duke Ellington's Sacred Concert or the hottest underground hip hop and spoken word acts from across the country. 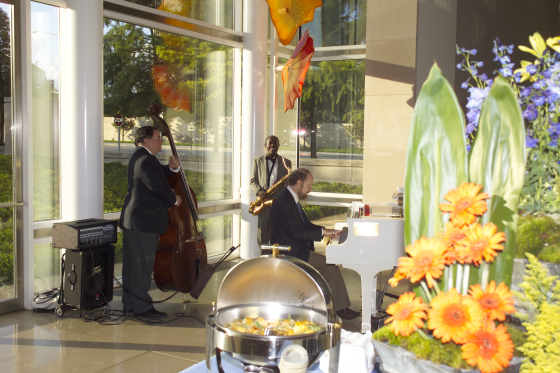 Enjoy happy hour, insomniac tours, Starbucks Coffee tastings, open mic poetry slams, DJ and break-dancing demonstrations, family activities, and more. 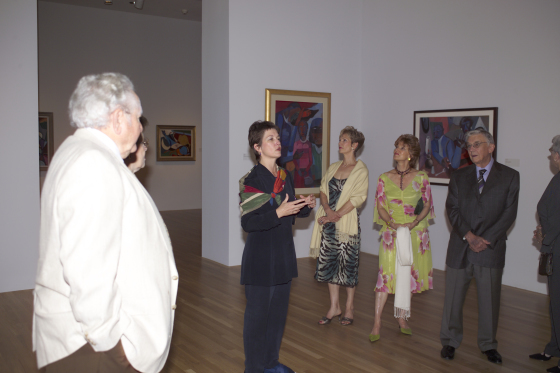 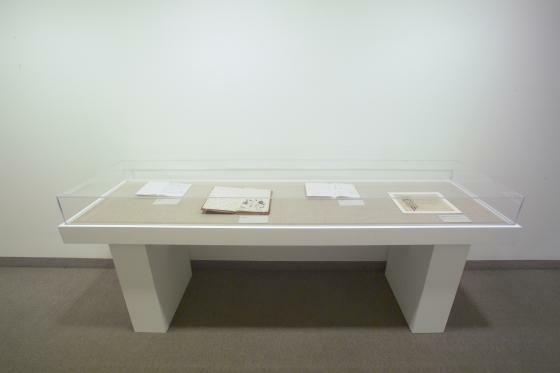 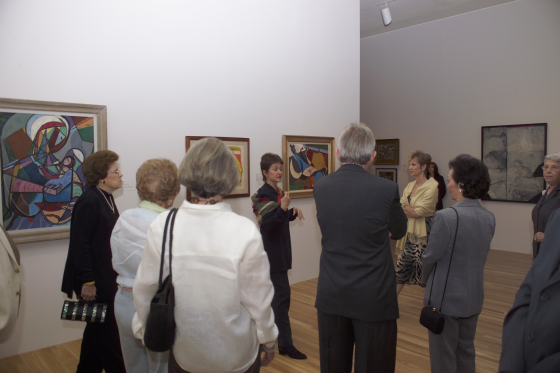 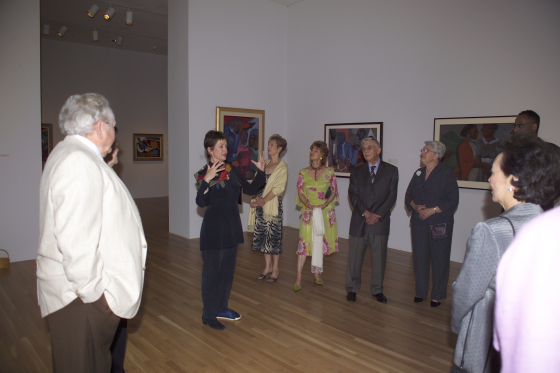 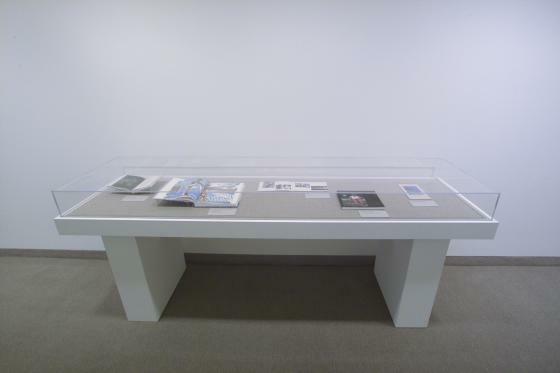 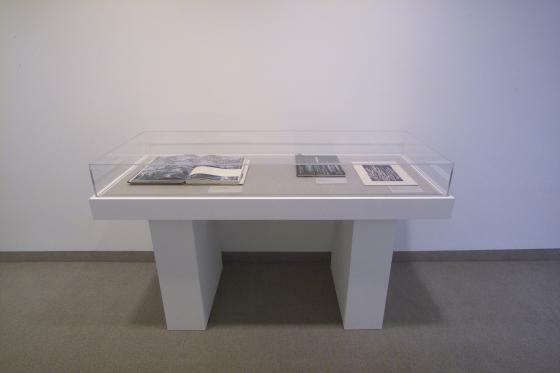 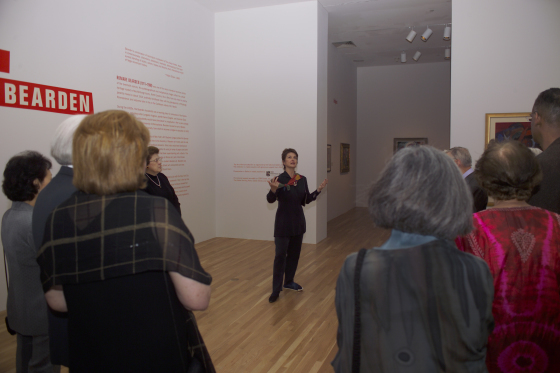 During the July 30 Late Night, don't miss artist Jean Lacy discussing her work in the galleries at 7:00 p.m. 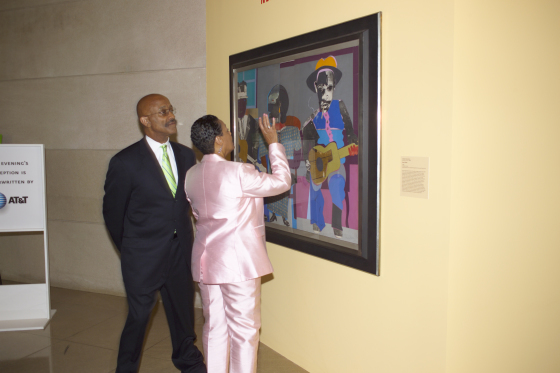 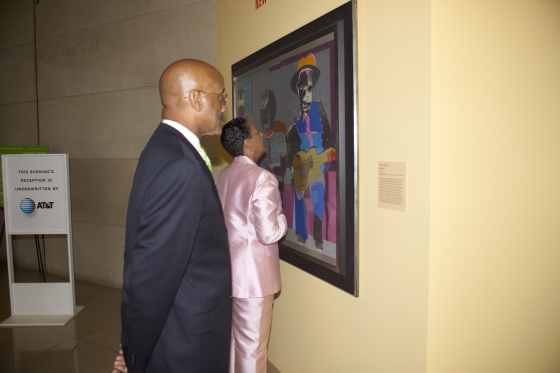 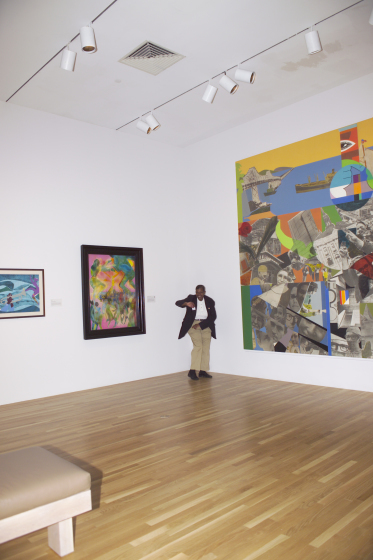 The Art of Romare Bearden is organized by the National Gallery of Art, Washington.